United by our passion for the game of handball, our two neighboring countries in the very heart of Central Europe decided to think big. We teamed up and joined forces to make a long-awaited dream come true: we jointly applied to host the Men’s EHF European Handball Championship in the year 2022 or 2024 in what we envisaged and termed as the Hungary-Slovakia region. The competition is big, but so is our enthusiasm! Naturally, our dream is to mobilize and connect handball fans across Europe, but perhaps even more importantly, this time around, we are determined to engage brand new audiences. We wish to capitalize on the attention, mobility, enthusiasm and presence of those festival-loving young Europeans who simply swarm our region whenever we organize an event of magnitude and appeal for them. We decided to place ourselves in their position, think with their heads, and concluded that they might not come for matches only, but they would definitely join the hype and the celebration around the matches. Therefore, we await them with a wide range of events at exciting locations and ample opportunity to celebrate together! We believe that if we give the games a unique, regional flavor spiced with a new festive organizational approach, we can not only attract existing handball fans that have not yet seen a men’s event of this caliber from close up, but also festival goers that will now be exposed to the excitement of the games. Needless to say, local youngsters’ attention is guaranteed, too. This way, in this otherwise entirely sports maniac region, the game of handball will finally get that extra hype and the new followers it deserves. Simply put, while the game of handball attracts existing audiences to the festival, the festival attracts spectators to the matches. This mutually beneficial relation between handball and festival has its impact on many other organizational concepts, too. It was with this in mind that we planned the festival-like ticketing system and this is also how we came up with the ideas of the mirrored Fan-Zones or the Handball for Late Night Athletes. Imagine a Fan-Zone that has a huge screen on the side that you can see through and interact with the other side: another Fan-Zone from another city! This would make Hungary-Slovakia region even more lively and united. For this purpose, we would like to use jumbo screens and high-resolution streaming. Our main goal is to make everyone feel like they are part of one giant event. We are also aware that while it is difficult to activate youngsters and get them physically involved, they are sure to go out a lot and spend a huge amount of time in bars and in clubs. As a matter of fact, they do sports as well (such as table soccer, physical arcade games, table tennis). So why not combine sports with nightlife? We would like to create street handball matches for them and even a championship that would lead to the main event. 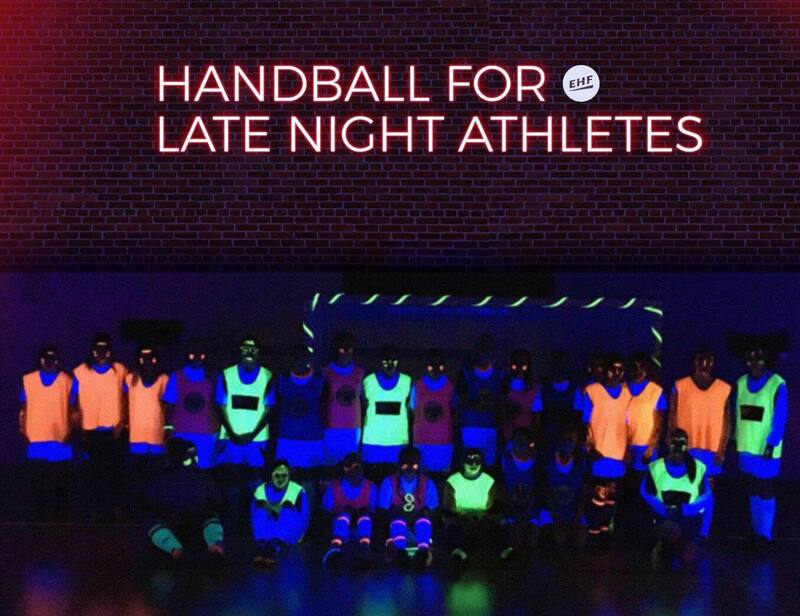 We would simply turn club halls and party streets into guerilla/temporary handball courts designed with a special paint that only glows and outlines of the court at night. By doing this, we can involve a new target group and increase the popularity of handball significantly. In recent years, the Hungary-Slovakia region became one of the most attractive destinations in Central Europe. Tourism grows by leaps and bounds each year: low-fare airlines and shared economy accommodations such as AirBnb and Couchsurfing make it extremely easy to access our countries. Also, both Hungary and Slovakia have many internationally recognized startups and software patterns topped with the most tech savvy generation to date. We would like to use these advantages and involve and interact with a lot more people than any handball event has before us. We aim to create partnerships with the biggest local and international tech companies to make our championship more convenient, cost effective and smart in general. Who said small countries cannot host great events? In fact, the closer things happen to one another, the more likely it is that people will attend more events in a row. In the Hungary-Slovakia region everything is within arm’s reach. The two bidding countries are super easy to access and there are virtually no distances between the designated host cities. Teams and fans will only spend minimal time travelling or commuting. We have organized dozens of gigantic festivals and world-class sports events in recent years. Last year, Budapest hosted the 17th FINA World Aquatics Championships and the 2017 World Judo Championships, for example. And it is no coincidence either that among the designated venue cities, Košice was awarded the title ‘European Capital of Sport’ in 2016. Budapest will receive the same distinction in 2019. 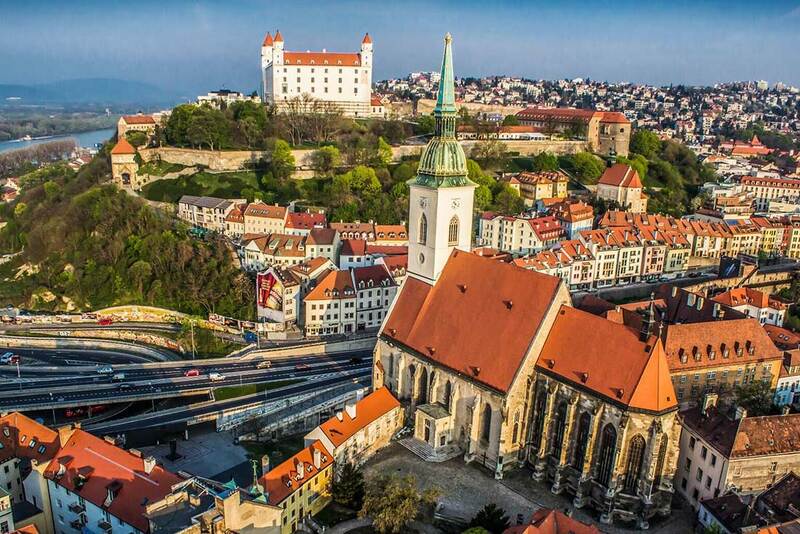 Both Bratislava and Budapest are charming, compact capital cities, rich in architecture and history, buzzing with energy, vitality and freshness. 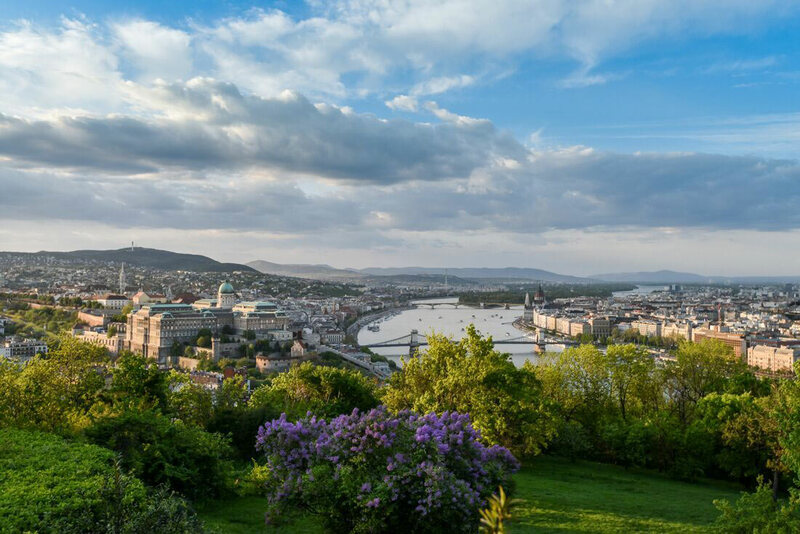 Their unique history, attractive sights, rich cultural life, excellent local gastronomy, quality wine and modern shopping centers make Bratislava and Budapest ideal destinations for all. In these two cities everything is close and within easy reach. They are located in Central Europe, by the Danube, the longest river in the European Union that flows through ten countries, more than any other river in the world. The City of Košice is a place where East and West meet, where history and human destiny blend in with the present! The unique Central-European metropolis was duly acknowledged as the ‘European Capital of Culture 2013’ and ‘European Capital of Sports 2016.’ It boasts the largest heritage reservation in Slovakia, as well as the largest and most significant gold treasure in Europe. But most of all, it is a city where the average age of citizens is 35 and where life is lived and enjoyed! Debrecen is the second largest city in Hungary that has even played the role of capital city in historical periods. Today, it is the capital of the Northern Great Plain region of the country. The “Calvinist Rome” is nowadays most popular for its blossoming culture, superb higher education and a bustling international student life. The city, rich in monuments as well as modern buildings, shopping streets, pubs and cafés, attracts a lot of attention for its internationally renowned events, too. Szeged is the third largest city of Hungary. It is situated on the south-eastern part of the country, just a few miles from the intersection of Hungary, Romania, and Serbia. The University of Szeged is one of the most distinguished universities in Hungary, its students fill the historical streets of the city. And, needless to say, the most popular sport in the town is handball. Veszprém is one of Hungary’s oldest cities. Legend has it that Veszprém was founded on seven hills and it was the favorite city of Queen Gisela, the wife of the first Hungarian king St. Stephen. The town has a unique location, as the 500-meter cliff in the background of the Castle Hill provides a very special atmosphere to this charming place and to especially the Castle District. 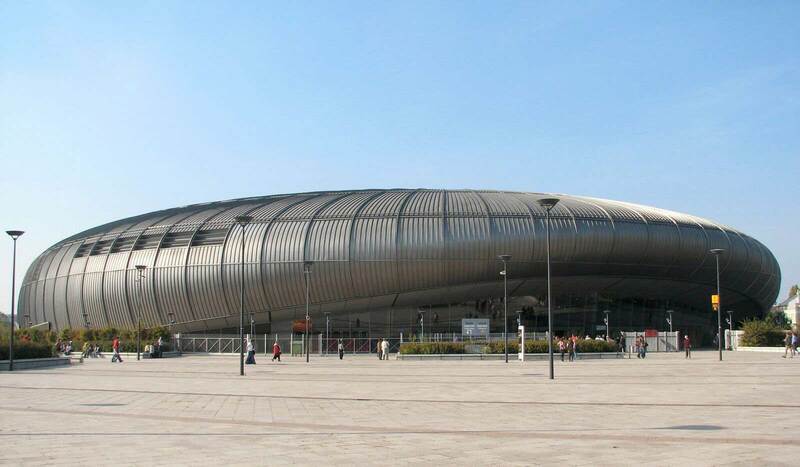 Any venue you choose to go to within the Hungary-Slovakia region, you will be able to root for your favorite team in modern, attractive, state-of-the-art arenas surrounded by a multitude of accommodation facilities, ranging from budget youth hostels to five-star hotels. 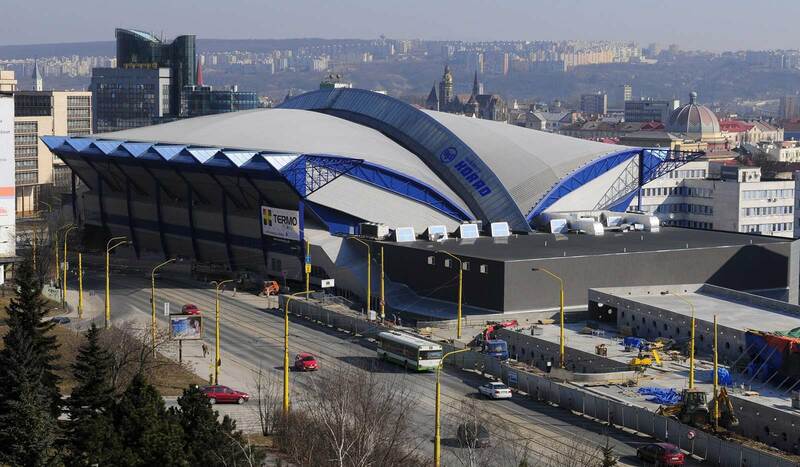 The stadiums were either recently completed or will undergo major reconstruction and expansion, like the arenas in Szeged or Veszprém. The expansions shall be carried out regardless of the European Championships, as these complexes are home to teams that regularly play in the Champions League and tickets to their exciting matches are always sold out. In addition, the Governments of Hungary and Slovakia also stand in support of the Hungary-Slovakia bid, and have expressed their commitment on all levels to ensure the background and conditions to a very successful series of events. 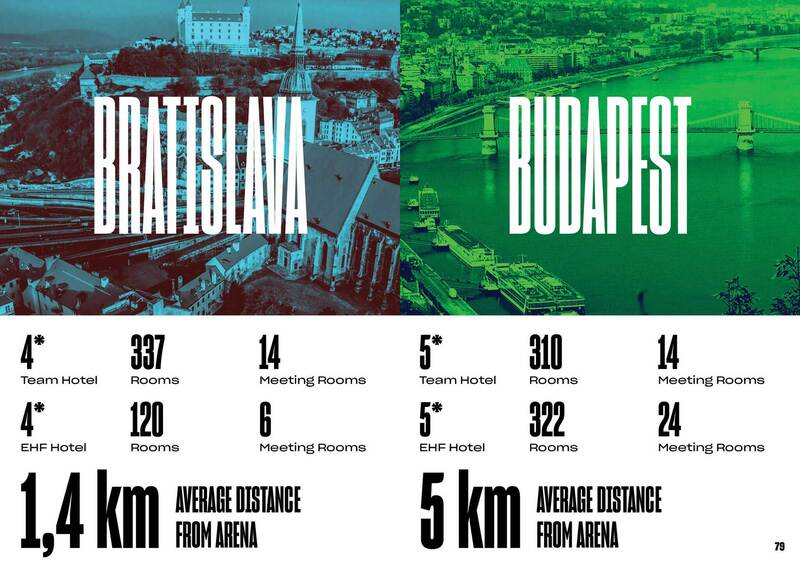 In line with the overall compactness the Hungary-Slovakia region offers the EURO, the arenas are all located very close to the hotels the teams will stay at. Uniquely, in our cities, the average travel time to the arena and the training venue from the team accommodation is only 12 minutes! Hungary-Slovakia region in 2022 or 2024.